Illustrator: Joey McGrellis is an animator and illustrator who loves to entertain through artwork. He began drawing at a young age and wishes to continue his passion as a career. Joey is pursuing a degree in computer animation. 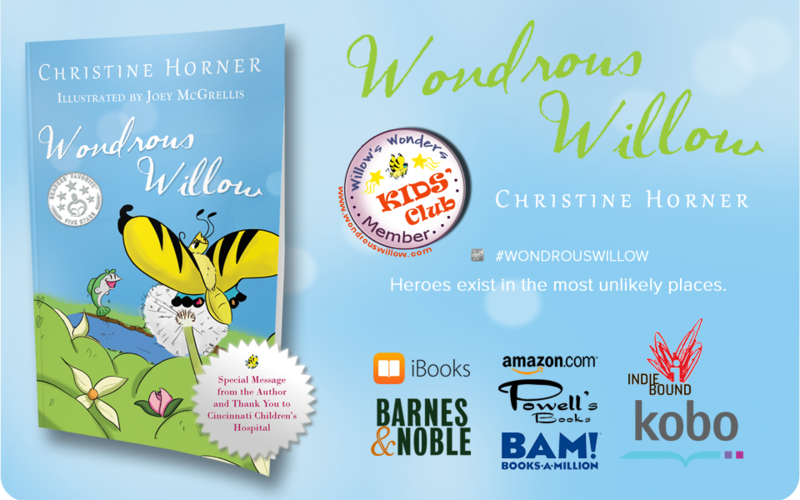 Horner’s debut story has action and adventure as well as nature lore as the animals have to contend with the ramifications of events created by people, but the story really shines in the bucolic meadows by the river where Willow and her friends live. Wondrous Willow is highly recommended. Wonderful story through and through. And the pictures really allowed for the whole thing to come together. Absolutely a must read. I enjoyed this book so much I read it in one sitting. Ms Horner’s story is unique and had a good moral to it. It is very appropriate for boys and girls. A quick interesting read. I especially liked the illustrations by Mr. McGrellis he is very talented and has a great future in illustrating or any field he goes into.